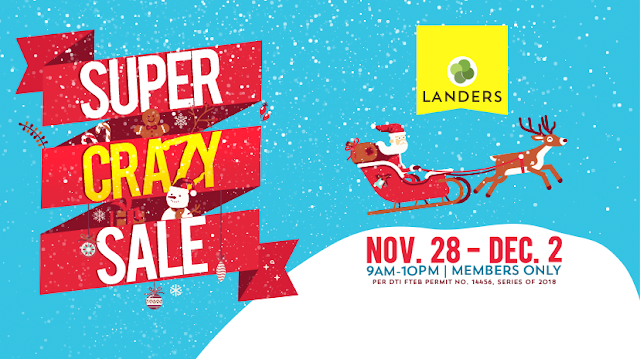 It's Landers Crazy SALE from November 28 to December 2, 2018. Get crazy with big discounts on selected items, buy1 take1 offers, and more! This Sale is exclusive to Landers members.